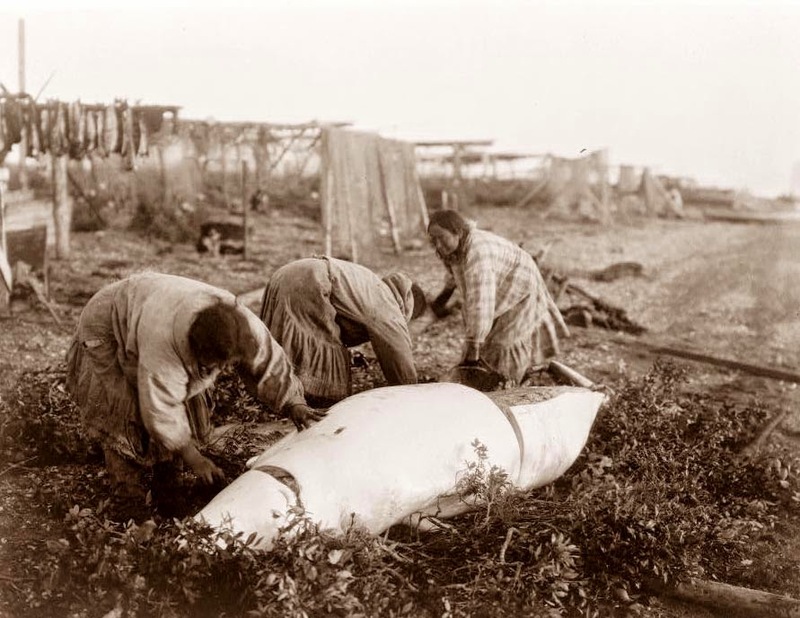 Today's picture shows Eskimo processing a small whale they have caught. You can see the racks in the background where they dry the whale meat. The picture was taken in 1927.